Prosecutors say a Massachusetts woman was drinking and taking drugs with her cousin before they got into an argument and she fatally stabbed him in the heart. A not guilty plea was entered on the behalf of Laqwanda Villaronga, 26, of Ayer, at her arraignment Monday in Ayer District Court. Villaronga is charged with assault and battery with a dangerous weapon causing serious bodily injury. She was ordered held without bail in connection with Friday's fatal stabbing of her cousin, 24-year-old Jonathan Merritt, of Ayer. The attack, which is being called a domestic incident, happened in a second-floor apartment at Zodiac Village on Groton School Road. 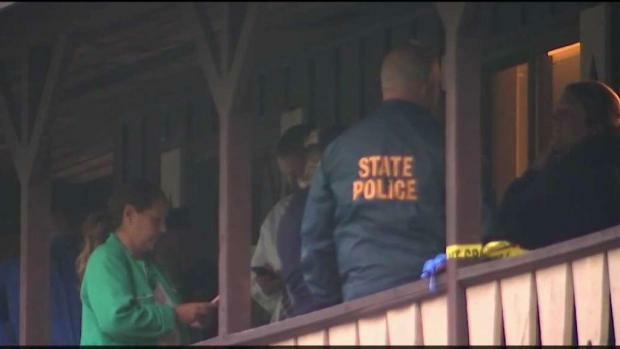 A Massachusetts woman faced a judge Monday in connection with the fatal stabbing of her cousin at an apartment in Ayer on Friday. Merritt had been staying with Villaronga and watching her two young sons while she worked. Prosecutors say Villaronga and Merritt were in her apartment last Friday afternoon when he started "taunting" her. Authorities say she grabbed an 8- to 10-inch kitchen knife and stabbed Merritt. "They were ingesting drugs and alcohol, they got into an argument, the victim kept – according to the defendant – poking and taunting her," Assistant district attorney Suzanne Kontz said in court. "She stabbed the victim, it ended up perforating his heart, she ended up calling 9-1-1 and made admissions to the police where she admitted she stabbed the victim." Investigators said she stayed at the scene after calling 911. 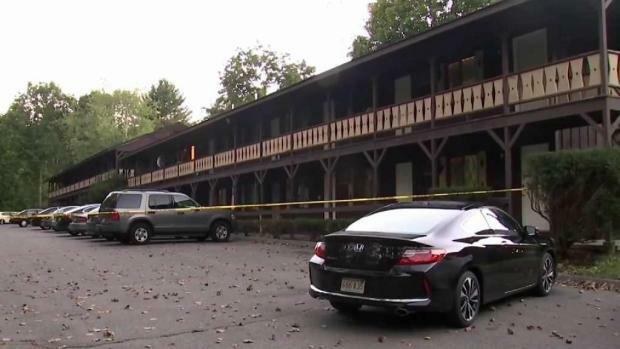 Middlesex County District Attorney Marian Ryan said the victim was found with a stab wound and taken to Nashoba Valley Medical Center, where he was pronounced dead. "Only thing I know is that she stabbed him, but why or how, I have no idea," a relative told NBC10 Boston. Mike Manzoni reports live from Ayer. Friends and neighbors say Merritt was a father to two young girls himself, and a father figure to Villaronga’s sons. "Played with them a lot, practiced football with the older one, and played out on the ground drawing with the chalk with the little one," said neighbor Deb Gardner. "It's got to be tough for them, that's what I'm most concerned about is the kids." Neighbor Corey Robinson said he heard a woman and a man screaming. "It was mostly a man, like a man screaming like his life was being taken," Robinson said. Neighbor Rob Fleming, who was in court, said Merritt was a nice guy. "He had a good sense of humor. You know, he liked to joke around," recalled Fleming. "And her and you know, he loves his family very much." A woman allegedly stabbed a man to death in Ayer, Massachusetts, and a relative says the victim was the suspect's cousin. Another neighbor remembered the victim kindly. "Jon was a nice guy," Diane Gendron said on Saturday. "He played with the kids all the time in the backyard. He used to be a babysitter." Villaronga's court-appointed attorney did not comment. She will be back in court on Friday for a dangerousness hearing.